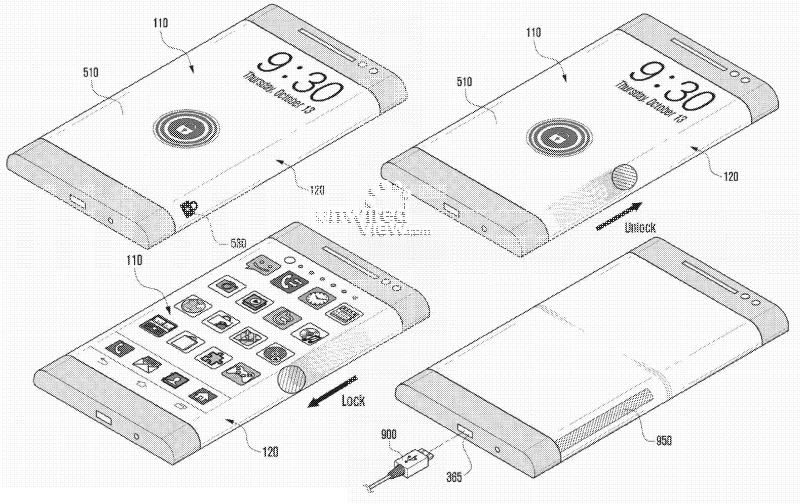 Samsung took to the USPTO to apply for patents regarding wraparound display technology usage. 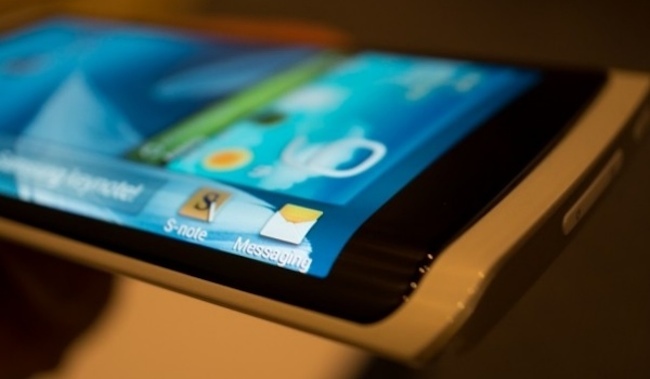 Back in January of last year at CES, Samsung unveiled Youm, its wrapped-display tech features on a concept device. At that time, it was known that you could view stock prices, your clock, and other little things to take advantage of the unique design, but the people wanted more. In this new filing, Samsung goes over a few use cases for the technology, and they actually seem quite useful. Samsung details that the wrapped part of the body could be used for locking and unlocking your device, browsing through galleries with swipes of your finger, plus used to show battery and charging indicators. As another example, Samsung details that if you are in a particular app that allows for sharing content, a designated button can be placed on the side of the device, dedicated to quickly sharing images and content with friends and followers. While in an ebook or digital magazine, the wrapped part of the display could be used as a navigation tool for quickly accessing different chapters within the book. If you want to flip through the pages, simply swipe your finger down the display. The same goes for your contacts menu, as instead of scrolling on the flat part of your display, you can navigate using the side scroll feature. Bloomberg reports that we could see a device featuring a three-sided display as early as next year. As for our thoughts, we think this is way more useful than the Galaxy Round, but we will have to wait and see if Sammy can pull it off. Curved displays are starting to pop up with the Galaxy Round and G Flex from LG, so what are your thoughts on their uses? Can these companies innovate the way we navigate our devices with the use of wrapped display technology?